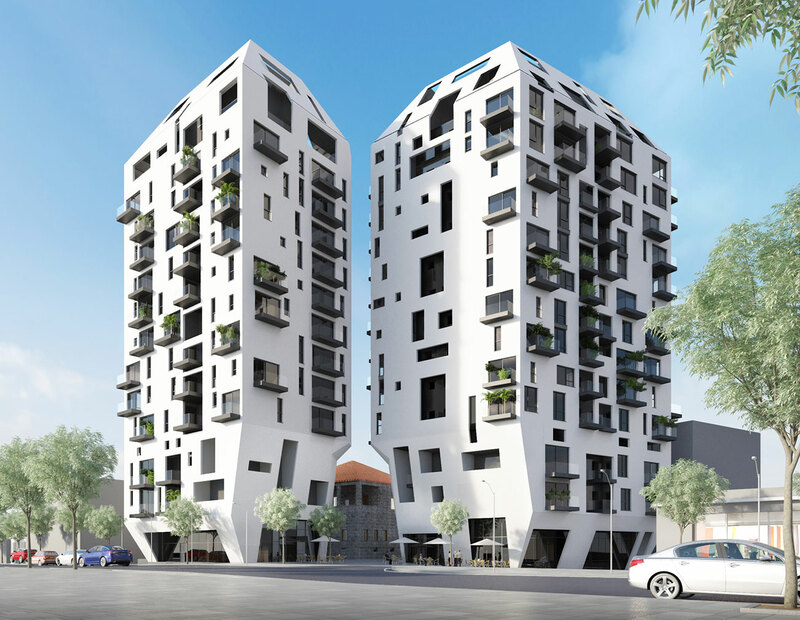 Hertzel Street in Tel Aviv is a developing area oriented for colorful residential projects. Hertzel 136-138 project will offer approximately 160 units in two buildings of 13 floors each. Within short walking distance from Florentin area, Levinski market and Neve Tzedek, one can enjoy great restaurants and an authentic atmosphere of Tel Aviv. Complete exterior planning and design was given to Arch Ilan Pivko architect firm, and interior design was given to Levin & Peker architects, two of Israel’s leading firms, and designers of such luxurious residential icons.